The Chairperson of the HSE Serious Incident Management Team said 162 of the 208 women affected by the screening controversy were not told that a review had been conducted by CervicalCheck, or of the outcome. Patrick Lynch said the women were entitled to know there was a review of their case and the result. Dr Lynch said patients were being contacted today by their hospital and all should be contacted by tomorrow. In 175 of the 208 cases, a different clinical treatment should have been given, when the original smear was re-read by the review team. The review was of women who had already been diagnosed with cancer. Speaking later on RTÉ's 6.1 News, Mr Lynch said just two of the 17 women who died had been informed that their smear tests were subject to review. He also said it is not yet known how many of the 17 deaths were due cervical cancer. HSE Director General Tony O'Brien said he had concerns over what was emerging about CervicalCheck last week. However, he said he would not have gone on RTÉ News to express a lack of confidence in the management of the service. He also said he first learned of the entirety of the Vicky Phelan case on the RTÉ News website last week. Ms Phelan, who was awarded €2.5 million in a settlement against a US lab last week over a false negative smear test in 2011, has said she was very upset at the revelation that that there had been 17 deaths. In an interview on RTÉ's Ray D’Arcy programme, Ms Phelan said she knew when she took her case that there were other women involved but she could "never have imagined the magnitude" of the problem. Ms Phelan said she did not want to see an inquiry or tribunal into the affair that would be dragged out and protracted for years. It comes as Taoiseach Leo Varadkar has said there will be an inquiry into the controversy over the screenings. He said that it will look at what he called "appalling communication failures" and whether a different form of laboratory testing "might have reduced the number of false negatives". Mr Varadkar said the Government was discussing how the inquiry would operate. 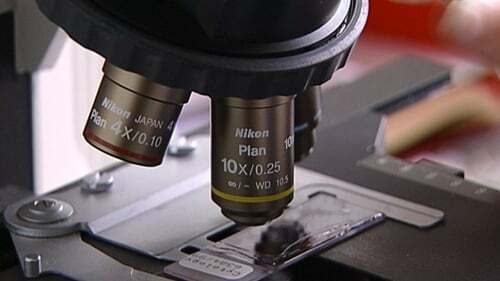 However, the Taoiseach said that despite the controversy, "cancer screening does work". Minister for Health Simon Harris has said he has written to HIQA to request a statutory investigation on the screening programming. He said it would have full powers to compel witnesses and documents from the HSE and his department. Mr Harris also said he is appointing an international clinical panel. It will carry out independent clinical reviews of the women affected. He said a liaison nurse will coordinate with the women. Mr Harris also announced that an international peer group will examine best practice in relation to the CervicalCheck screening programme and other programmes. He also said he is bringing patient safety legislation to Cabinet next week. It will provide for mandatory open disclosures of serious health incidents. Minster Harris also said he was not ruling out a redress for those affected and said he is confident in the head of the HSE to do his job. A helpline, which has been established by the HSE, has received more than 6,000 calls. Solicitor Cian O'Carroll, who represented Ms Phelan, has said the latest revelations are "shocking" and described CervicalCheck's conduct as appalling. Speaking on RTÉ's Today with Sean O'Rourke, he said it cost a third of the price to have the smears tested in the US. Every woman who had a smear test and wanted a recheck for reassurance can have it arranged by her GP and paid for by CervicalCheck.